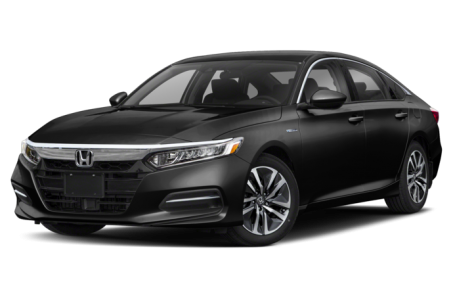 The 2019 Honda Accord Hybrid is the more fuel-efficient version of the regular Accord sedan. It is powered by a combined 212-hp, 2.0-liter four-cylinder engine and an electric motor mated to an electronic continuously variable transmission. Fuel economy for the Accord Hybrid is an EPA-estimated 49/47 mpg city/highway. Four trims are available: the base model, EX, EX-L, and Touring.